If you&apos;re a food lover then you&apos;re privy to the term "Michelin Star". And even if you&apos;re not, you&apos;ve probably heard of it on the last episode of MasterChef Australia. Michelin Stars are the gold standard in restaurant ratings – a coveted title all eateries and fine dining establishments aspire to and a rating system that allows foodies and critics to discover some of the best places to eat around the world. Tripoto brings you a detailed guide to understanding what Michelin Guides are and helping you find the best ones to suit your palette and pocket. 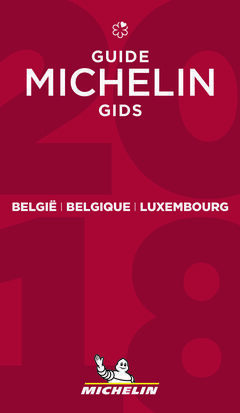 Michelin Guides are a series of guide books published by the French tyre company of the same name. These guides have been in publication for over a century. The first Michelin Guide was published in 1900 to encourage French motorists to go on road trips more often, thereby contributing to the sale of Michelin Tyres. They contained information regarding maps and petrol stations. In 1926, their food critics began reviewing restaurants anonymously and published their ratings in the Red Guides, which are the ones we read till date. Today, it has become the global benchmark on restaurant ratings, awarding zero to three stars for excellence to hotels and restaurants. The guide now releases annual editions in 23 countries. Since the beginning, Red Guides rely on an extensive system of symbols to describe each restaurant in as little as two lines. Reviews also include 2-3 specialties of the establishment. Starting 2003, short summaries of the restaurants started getting included in the reviews. These are written in the language of the country they&apos;re being published in. Michelin reviewers, commonly known as inspectors, are anonymous. They don&apos;t identify themselves and their meals and expenses are paid for by Michelin and never by the restaurant they&apos;re reviewing. In fact, Michelin has gone through extraordinary lengths to maintain the anonymity of its inspectors. Many of the company&apos;s top execs have never met any inspector themselves. And these inspectors are reportedly required to not disclose their identities even to their parents. In all this time, never once has an inspector gotten in touch with a journalist. The reviewers write their reports which are then distilled at an annual meeting to award the stars from 0 to 3. Establishments that are deemed unworthy of a visit are not included in the guide at all. The reviewers look at the quality, mastery of technique, personality and consistency of the food, during the review process. The restaurant&apos;s decor, table setting and service quality don&apos;t play a role. One star: A good place to stop while on your journey, offering cuisine prepared to a consistently high standard. Three stars: A restaurant worth a special journey, indicating exceptional cuisine. Distinctive dishes are precisely executed, using superb ingredients. How to eat at a Michelin-rated restaurant without going broke? Historically speaking, Michelin reviewed primarily fine dining places. However, in recent times, the selection of Michelin restaurants has grown to include several small and mid-sized eateries that cater to your champagne taste on a beer budget There are some restaurants in Asia where you can get a meal for as little as ₹150. Whenever you plan to travel, a little bit of research can take you a long way. Don&apos;t just look for Michelin starred restaurants, but also look at the pricing. Opt for lunch-time meals rather than dinner-time as they are cheaper, try sampling menus, and mostly, look for establishments that will give you the taste without breaking the bank. Here are some of our recommendations. Have you ever been to a Michelin starred restaurant? What was your experience like? Let us know in the comments or spread the word amidst millions of readers on Tripoto by writing about your experience. 10 Places That Are Absolute Haven For Broke Artists! Travelling when you are Broke: The ultimate guide to your free vacation!